For thousands of years, humans have kept goats as dairy animals. Goat's milk, cheese, and yogurt remain staples of certain dishes and can be found in many grocery stores throughout the United States. According to naturopath Dr. Robert H. Sorge, goat's milk and products made from it, such as goat whey, are ideal foods for humans because they are remarkably similar to human breast milk. 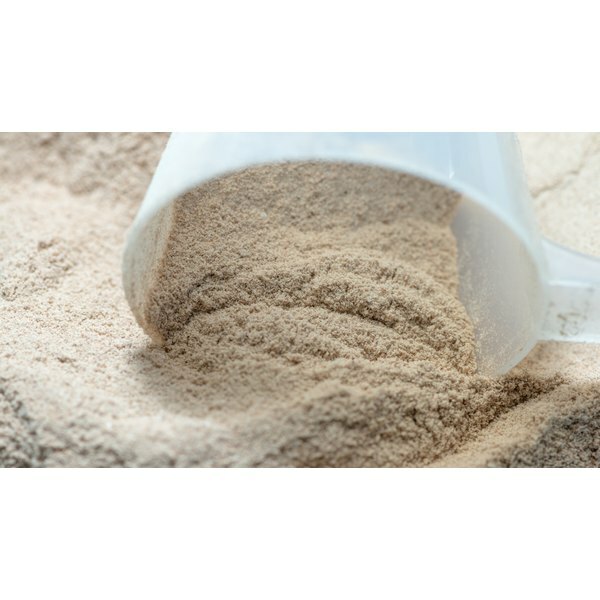 Goat whey contains large amounts of protein and other amino acids and may offer benefits when added to a healthy diet. Goat whey can be used as a hypoallergenic protein substitute for children and adults who are allergic to cow's milk, according to Dr. Thomas Cooper. Dr. Cooper notes that over 90 percent of children who have an allergy to cow's milk do not show allergy symptoms when using goat whey. For people who cannot tolerate cow's milk, goat whey can be a good way to get the benefits of drinking milk without the symptoms. According to naturopath Dr. Robert H. Sorge, goat whey can be used as a homeopathic treatment for arthritis. Goat whey contains bioorganic sodium, which the body can use to keep the joints limber and reduce inflammation in the joints. Dr. Sorge notes that goats remain limber well into old age as a result of the bioorganic sodium in their systems, which is passed on in their milk and is preserved in the making of goat whey. Goat whey, along with goat milk, is an ideal nutritional supplement for children and adults, according to Dr. Thomas Cooper. Although both cow whey and goat whey provide protein, goat whey contains greater amounts of amino acids like linoleic acid and arachidonic acid. It also contains much more Vitamin A and potassium than cow whey.